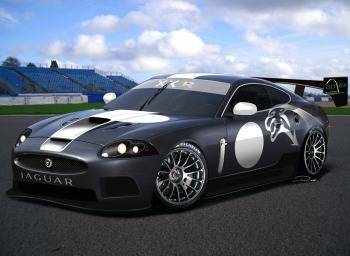 Apex Motorsport, led by Richard Lloyd, has revealed the first images of the recently announced Jaguar XKR GT3 race car. 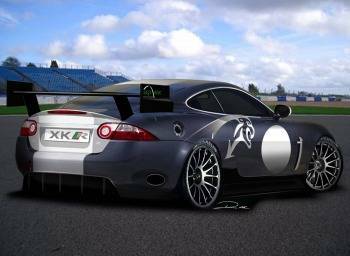 Richard has assembled an experienced squad to develop the XKR headed up by Team Manager Dave Ward who has recently returned to England from two years in Australia where he had been managing one of the V8 teams. Dave is joined by another ex-Apex team member Howden Haynes who is responsible for all design and development work. Stuart Dyble, Jaguar Board Director and Vice President, Communications and Public Affairs, Premier Automotive Group and Ford of Europe: “There is a great buzz surrounding the launch of the XKR and this GT3 programme is going to reinforce the sporting credentials of the XK range even further. The XKR is undoubtedly a great looking car and we're very pleased that Apex shares our view that its lightweight body structure is an ideal platform for the series. We're really looking forward to seeing the car run for the first time." The development car is expected to complete its shakedown test in December before moving on to the official FIA tests early next year. In only its first year the FIA GT3 European Championship has attracted enormous interest from teams and drivers alike and is set for even more success in 2007 with six Championship races planned in addition to a non championship opening event supporting the Australian Grand Prix in March. Lloyd and business partner Harry Handkammer are currently in talks with a number of teams interested in running in GT3 next year.